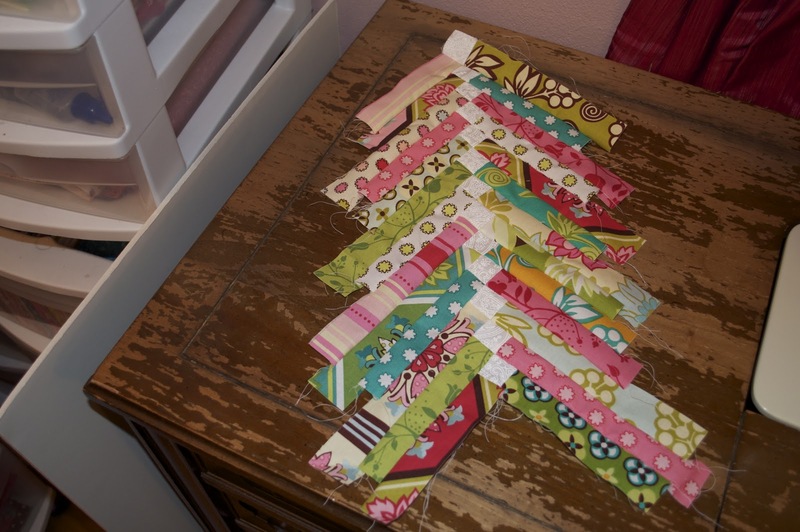 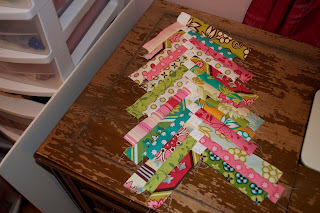 I'm learning a new skill of making a braid quilt with my newest project that I'm calling Twist & Shout! 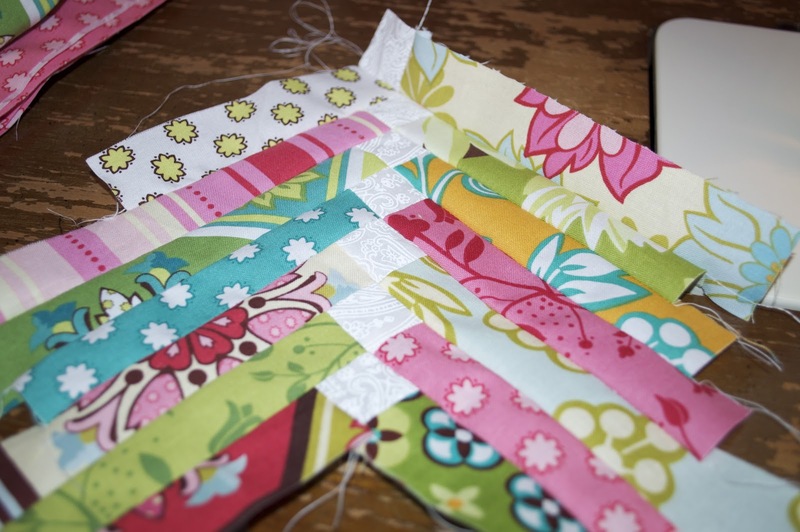 I'm using scrap pieces that were left over of the Ginger Blossom line (Michael Miller Fabrics) that I used in some other quilts and extra white cornerstone pieces to make this fun little pattern. I can't wait to see how this turns out!